Whangarei Mobile Locksmiths can supply safes for all situations. Brands include Challenger, Chubb, Eiko, Leeco , And Safeguard. Fire Safes protect your important documents and come in a range of ratings that offer protection from fire for a period of time. Drug Safes to protect medicines in places like hospitals, nursing homes or medical practices. 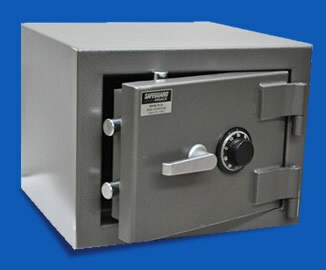 Home and Office Safes for general purpose security from burglars or damage by fire. Our safe technician can open, service and repair most models of safe. Safes do need to be serviced regularly to avoid potentially costly lock-outs. We can upgrade your existing safes combination dial lock to a user –friendly digital lock with additional access control functions.